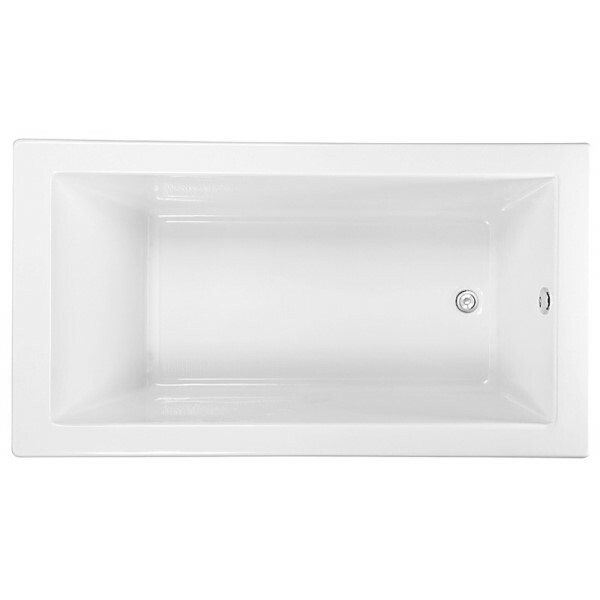 The largest end drain of the series, Soco 7242 features a spacious and deep bathing well. End drain tub with 1 back slant allows for more leg room in the bathtub. The flat rim allows for undermount installation, but it would also look great as a drop-in bathtub. A tile flange and front skirt are optional for alcove installation. Perfect bathtub for a soaking tub and it will even keep the water warm as the HotSoak. For water movement, the air tub creates vigorous bubbles or the DriftBath moves the water like a stream. Formerly named Serenity 18, this sleek rectangle tub is designed for urban and contemporary settings. Optional Linear Drain which allows for a higher water level.